LCA technology can be found in abundance in the construction industry, in recent times there has been what can only be described as a market saturation of products with no specific tool gaining a lead in the market. With no legislation outlining an emissions standard specific to construction, client demand for LCA products has dissipated as the perceived value of emissions measurement has reached a lull in client psyche. Despite this, various sections of the supply chain are still open to increased building sustainability which is not filtering throughout the supply chain, and more importantly, not reaching the client. Some clients have proven to be leaders in sustainability whilst for others the focus remains on the traditional time, cost and quality concepts of construction, thus indicating that the client is key (Abanda et al. [i], 2013; Ryd, 2004[ii]). Therefore in the most part LCA products have not been required, as highly innovative and sustainability driven clients (particularly in emissions analysis) have been in the minority. The industry’s focus on LCA technology coupled with poor uptake rates has posed more questions than answers in the CO2 emissions debate. Technology is not easing the low carbon decision making process; therefore the essence of success may be centred on human behavioural change. Regardless of the technological specification of LCA products, the fundamental problems may lie in the way LCA is designed and used in the industry. Research has shown that one of the major shortcomings of current LCA software is that they are firm-centric, disregarding external supply chain inputs (Koh et al., 2013[iii]). These inputs are considered essential for calculating total LCA as embodied carbon calculation requires the analyst to source data from third party sources. It has been suggested that a reason for the firm-centric LCA products is the short-sighted focus of site-centred construction, whereby only those involved on site at the time of construction are responsible for emissions calculation (Vrijhoef and Koskela, 2000[iv]). This strategy encourages a retrospective and therefore reactive approach to LCA, where low carbon decisions are not taken at the crucial design stage. Additionally, LCA is only undertaken if there is client demand for it (Poudelet et al., 2000[v]). If the client does not require an emissions analysis, the project manager and main contractor will not supply it as there is no perceived benefit to them for doing so (Ryd, 20042). The potential for the expansion of responsibility for CO2 calculation across the supply chain could have significant and positive implications for carbon calculation. It would not only engage but would empower supply chain actors. The action of empowering each section of the supply chain provides more opportunity for the client to be influenced to make low carbon decisions. The criticality of the client in the supply chain means that all final decisions will be made by one person or company. The power difference between the poles of the chain means that influencing the client is problematic as communication simply does not occur. The linear format of the supply chain does not encourage collaboration. As each section is answerable to the next, influence is lost down the chain. Perhaps by encouraging greater collaboration and integration throughout the supply chain, the client could be open to greater sustainability influences. 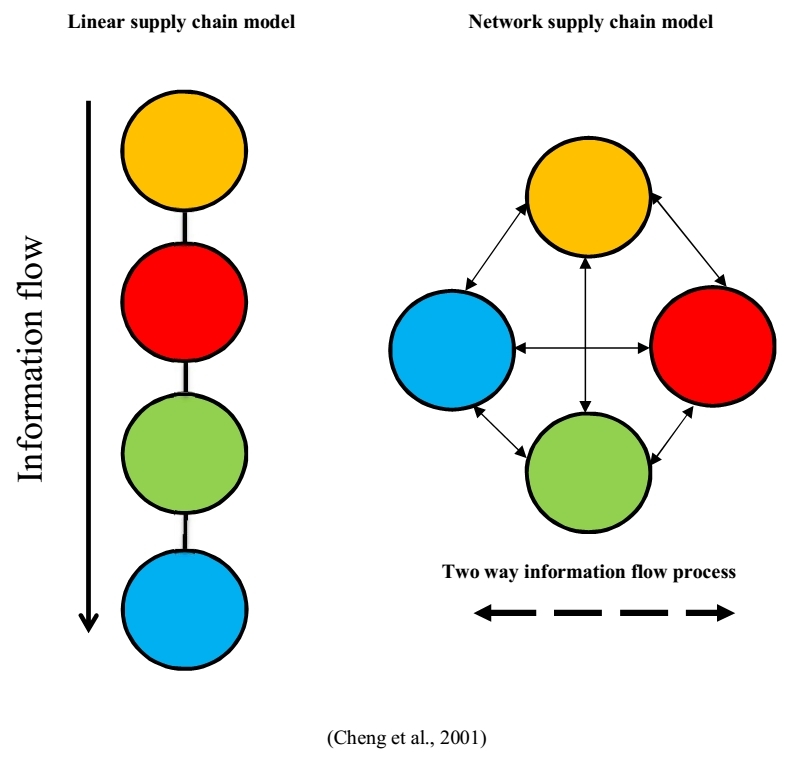 Potentially, this could be achieved through a network-based supply chain (Cheng et al., 2001[vi]) whereby influential collaboration is a two way process between all supply chain actors. This will not only break up client power but ease data sharing across the whole supply chain, thus easing the low carbon decision making process in construction via increased information sharing. By Emily Jervis (@Emj45) – PhD student in sustainable construction at the University of Liverpool. [i] Abanda, F. H., Tah, J. H. M., and Cheung, F. K. T. (2013). “Mathematical modelling of embodied energy, greenhouse gases, waste, time–cost parameters of building projects: A review.” Building and Environment 59(0): 23-37. [ii] Ryd, N. (2004) ‘Facilitating construction briefing–from the client’s perspective’ Nordic journal of surveying and real estate research 1.1: 86-100. [iv] Vrijhoef, R. and L. Koskela (2000) ‘The four roles of supply chain management in construction’ European Journal of Purchasing & Supply Management 6.3. 169-178. [v] Poudelet, V., Chayer, J., A., Margni, M., Pellerin, R., and R. Samson (2012) ‘A process-based approach to operationalise life cycle assessment through the development of an eco-design decision-support system’ Journal of Cleaner Production 33.0: 192-201. [vi] Cheng, E. W. L., Li, H., Love, P.E.D., and Irani, Z. (2001). “An e‐business model to support supply chain activities in construction.” Logistics Information Management 14(1/2): 68-78.